An Original, Resin Model Hobby Kit titled: "Slave Girl". Modeled from the Original Star Trek TV Series episode entitled, "Whom Gods Destroy". 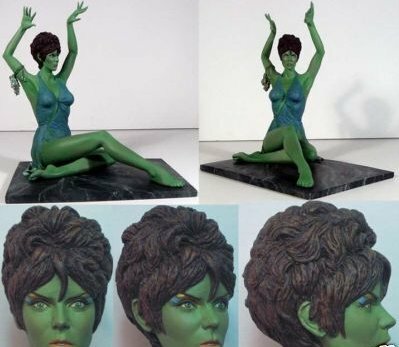 Features Yvonne Craig as "Marta, The Seductive, Green, Orion Slave Girl". Produced by XOFacto! Sculpted by Joy & Tom Studios. 1: 6 Scale. This is a Great Kit, superb likeness of Miss Craig.